We at JJT aspire to have the latest model of fleets. We have equipped our tractors and trailers with satellites that include the addition of quality-controlled features for enhancing efficiency and comfort. Our modernized fleet is complemented with the detailed maintenance routine which leads to equipment that is at its peak performance having spacious cargo capacity and almost negligible downtime for the equipment. Through such a complementary approach, our purpose is to reduce our maintenance expenses and reduce the turnover for experienced drivers. JJT provides a complementary of owner operators which act as independent contractors. They make up a crucial component of our business while keeping their autonomy and adding value to our daily business operations. An exceptional package is offered to our owner operators which enhances their work proficiency and professionalism. This combined approach of using company fleet and the carefully chosen owner operators enhances our ability and capacity to match up with the unexpected swell in production activities. This model is proving out to be quite effective in matching up the seasonal production surges. We are further expanding our team of owner operators in order to brace ourselves for production surges, if you are interested in being an independent contractor, or working with us through your owned fleet then call us and get all the necessary details about the benefits we offer. Our van service unit focuses entirely over on-time delivery to any destination within the US. We have a range of van companies within our network which is the most assuring factor for our customers as they can easily expect the most expedited service regardless of where the destinations are. Van services are widely used for transferring cargo as they accommodate the most essential types of cargo shipping. They provide an impeccable protective surrounding for the product/deliverables until it would reach its desired location. There are several means of loading that most warehouses, factories, outlets facilities have such as fork lifts and loading docks. We have the best of transportation solutions in the form of real-time status updates and latest technologies, to fulfil your demands. We have been in this business for many years which has given us the expertise in the work that we do. JJT will make sure that you get the stress-free service from our side. We keep updated with the shipment status and are available to you anytime. We have access to alliance carriers and van companies across the country which makes us competent in taking your freight to any destination desired. Reefers are temperature-controlled units for transportation. These units can be a van, small truck or a standard ISO container. These units have a refrigeration plant that keeps circulating the controlled air within the unit. We have the refrigerated ISO containers that can help the cargo be stored in the desired temperature. At JJT we have a fleet of trucks that can be adjusted to specific conditions of temperature and humidity as per the requirement for the sensitive goods. Such a fleet in ideal conduit for different types of meat and produce and pharmaceutical products and other such products. We can adjust the environment within the truck to frozen, cool, warm, dry or moist. You can be assured that we will provide you with a tailored transportation solution based on your demands. We specialize in perishable products, providing freeze protection services, refrigerated and heated vans adjusted to the needs, Full Truck Load or Less-Than-Load transportation, around-the-clock service, expedited delivery, real-time cargo status updates, carrying hazardous cargo among other such specializations. Our extensive carrier base spans across most of North America, owning thousands of flatbeds, step decks, RGNS, mutli-axle lowboys, vans and refrigerated trailers as well as many other trailers required to haul any freight on the road.JJT offers the best of brokerage service with an unmatchable customer service. We have the right resources and expertise at our hands that let us find the suitable carrier for your business and products. By availing our services, you would be entertained with the most effective logistics and transport solutions at the best price possible. We provide solutions that match with your schedule and needs, so contact us and let us assist you in getting the best trucking partner. We, at JJT, offer Power-only services that has both the tractor and driver included in it. Through this service we can pull equipment owned by the customer. This equipment might include flatbeds, containers, chassis, special event trailers, exhibition trailers, dry vans, specialty trailers and reefers. Our expert truck drivers are proficient in power only services for both the local runs and long haul. They can carry over-sized equipment and have enough years as work experience that they can fulfil your requirement of either the round trip or the one-way trailer transport. Power Only trucking ensembles have sliding fifth wheels so that it can complement the configuration of your trailer and can meet with its turning clearance. Power only trucking is a cost-effective and reliable solution to enhancing business with an increased profit and less expenses. JJT has the capacity of drivers and trucks that would surely benefit you in getting your desired trailers to their designated locations without having to recruit a bunch of over-the-road drivers. We have a list of drivers that either operate by themselves or in teams to get your equipment from one destination to other in a timely and safe manner. Our Flatbed / Heavy Haul office provides customized solutions to the construction, mining, and agriculture industries Our team combines the capacity of thousands of specialized trailers with the expertise required to move large, heavy and complicated pieces of freight. We have the state-of-the-art technology to ensure on time delivery in addition to the experienced and professional personnel that will always keep our customers in the loop by keeping them updated in the shipment status. We at JJT offer our top-quality flatbed services as we have flexible flatbed sizes ready across the world. JJT has tailored solutions that is grounded on quality systems and cutting-edge technology. We cater to orders both on LTL levels and international shipments while adhering to your standard and not so standard transportation needs. JJT provides a shag service with our distribution center in Omaha, Nebraska. From this distribution center, we can deliver and/or move semi-trailers from the docks of the truck lines which converge at this center. 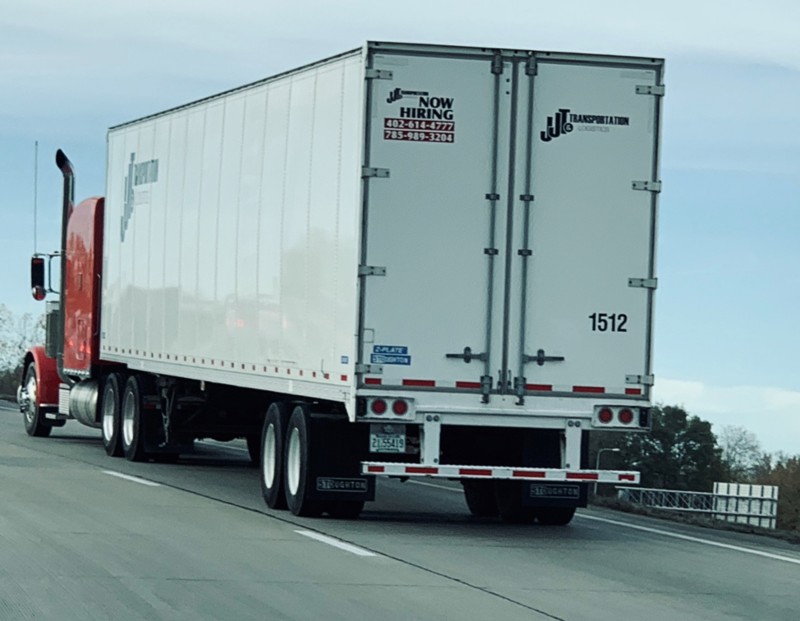 JJT provides drop-trailer services which allows the shippers to ensure smooth-running of their supply chains by helping them plan and schedule more effectively when it comes to outbound shipments and deliveries. Most carriers are hurried when it comes to loading the trailers as they want to get on the road, to the desired location. In this sense, our services for drop trailers offer control and autonomy to both the shipper and the carrier. This causes the pick-up process to be smoother which ultimately result in on-time deliveries. Our service is part of the revolution that has improved the interaction between the shipper and the carrier and has worked to streamline the whole transportation process. By taking advantage of our drop-trailer services, the shippers can aim towards an un-interrupted value chain by allowing them to load at their convenience and save money by cutting down on accessorial charges for driver retention.